The production stage is where you do the actual camera work, either on location or in the studio. 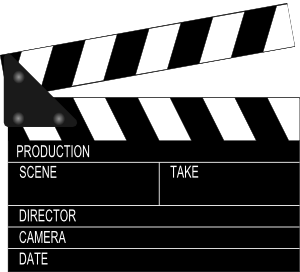 Production includes videotaping interviews and accompanying b-roll (cutaway shots, also known as Coverage), recording audio and lighting a scene. In addition, production may also include the need to label media cards. Take a moment to survey your surroundings. Find out the best angles of your subject. Take mental notes of various angles that achieve good composition. Knowing where to move the camera before you shoot will save you precious time. As the name implies, this type of production uses a studio that is made specifically for television purposes. Do I have to use a tripod? How badly do you want a job? Too often, the novice photographer fails to use a tripod, which often results in profoundly shaky images that can be unsettling to watch. A shaky camera can raise tension in your audience and they might even get dizzy and find it difficult to focus. Images that are supposed to be pristine and tranquil, such as landscapes, shouldn't be viewed as if they were shot during an earthquake! Instead, the shots should be rock steady, and this is especially true when you are zoomed in on the subject. At the narrow end of the zoom, when the field of view is small, even the tiniest bump will change the image dramatically, if not violently. So if you must use the camera without a tripod, then the best recommendation is to zoom out to the widest possible angle, which will help reduce the effects of camera motion. When you need to get closer to the subject, instead of using the zoom, physically walk the camera closer to the subject. One final thing about shaky images -- they don't edit well when you have other shots that are steady. Not every shot needs to be on a tripod, but most often you should use a tripod if you want to do professional work.